I could always use a Landrover Discovery as a donor vehicle. A Disco is only a ‘cheap’ Range Rover based on the same mechanicals etc, but with lower trim levels. It also has a 100 inch wheelbase, the same as a Range Rover. A standard Landrover Discovery can perform well off road, but it can be expensive if you make a mistake and damage the bodywork etc. 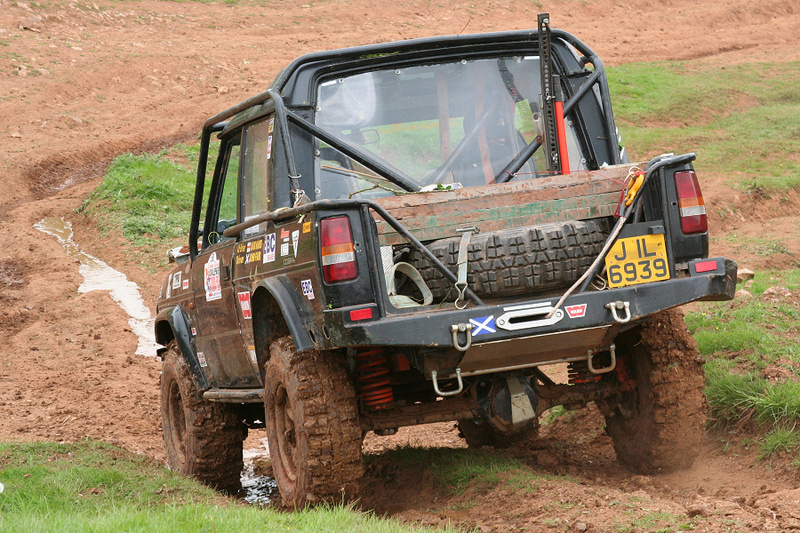 Some slight modifications like a steering guard and new wheels with mud or all terrain tyres can help. A Landrover Discovery van (known as a commercial) without windows at the back is rarer, but better as there are fewer windows to smash. It also means you can keep expensive recovery gear etc out of sight. 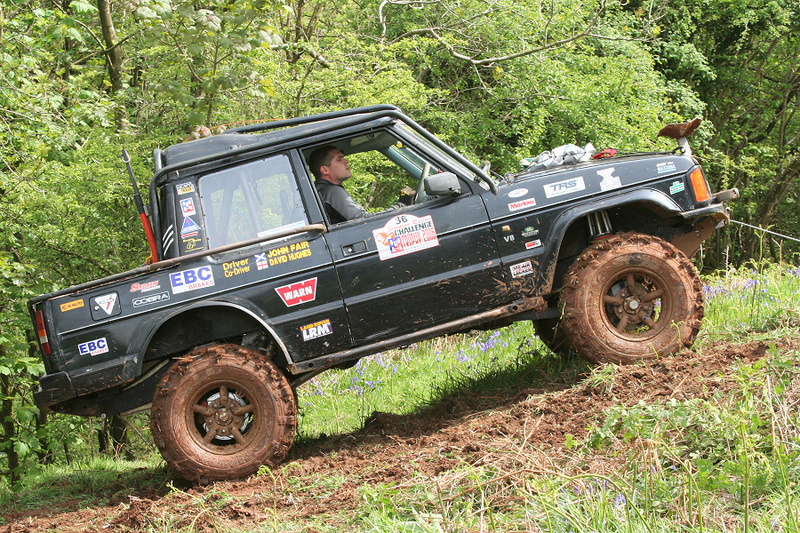 The off road performance of a Disco can be improved in the same way as with a Range Rover, by cutting off the back end, or bobtailing it, to produce a bobtailed Land Rover Discovery. This also helps to protect some of the vulnerable and expensive (steel) bodywork. The next step is to cut a bit more of the back end off to produce a bobtail Land Rover Discovery pickup. On this example the cab roof has been skilfully cut and welded back together as it is a more complex shape than a Land Rover roof or even a Range Rover roof. Take a look in the photos below at the seriously strong snorkel for wading. The cover for the storage area at the back for recovery gear is also very nice. 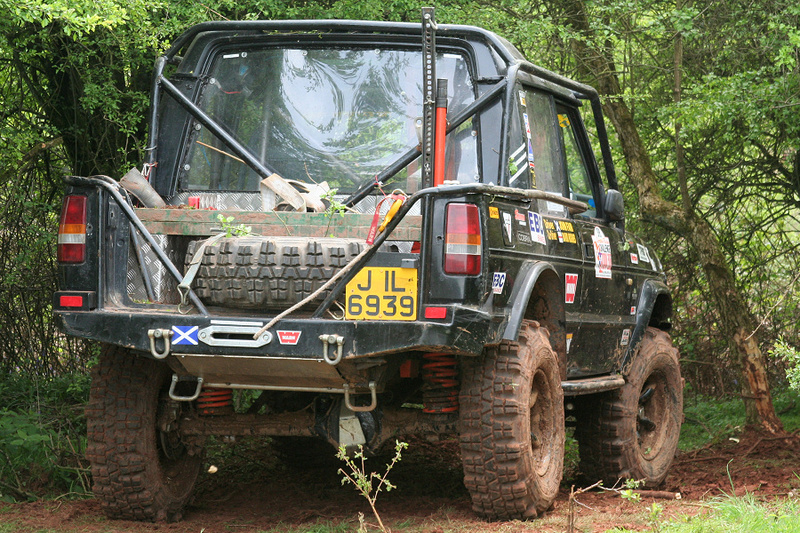 Land Rover hinges have been used. More details and pictures of Phil’s modified Disco can be found at She Loves It (http://www.shelovesit.co.uk/). 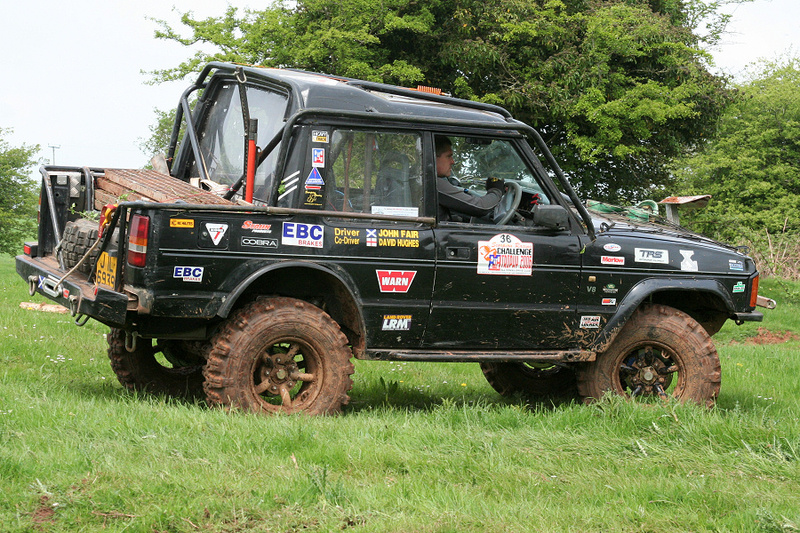 This Land Rover Discovery has been converted into a 4 door pick up for use in winch challenge events like the Scorpion Racing Challenge Trophy. It has a winch at the front and rear as well as stowage for things like the waffles and ground anchor. 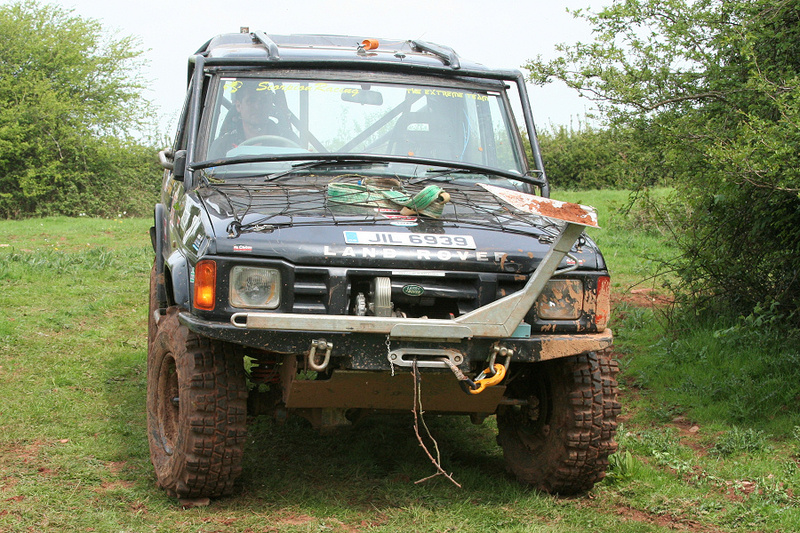 However the driver (John Fair) thought the 100 inch wheelbase as well as the standard front, and more importantly, rear overhang made this Disco too long for this winch challenge event at West Harptree. 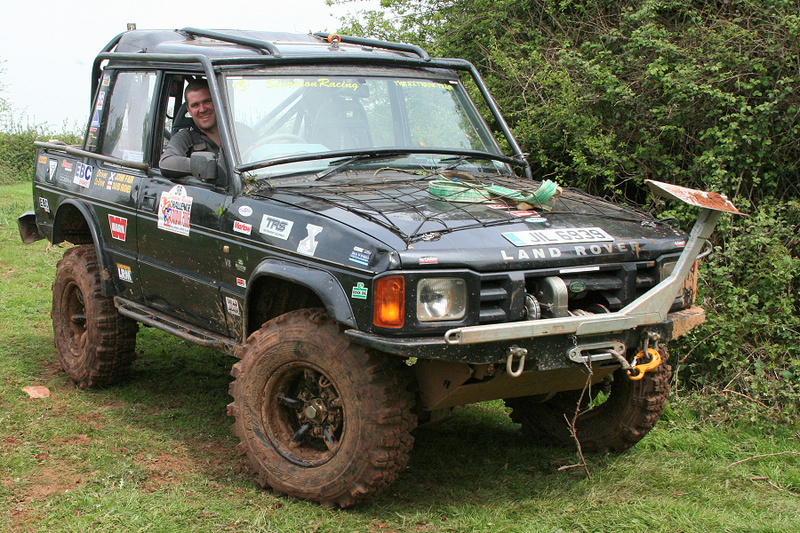 I could in effect build a small monster truck loosely based on a Landrover Discovery. The axles, suspension, wheels etc are not standard, and the body has been slightly modified. While I was watching it did not get stuck, even thought the driver was attempting the same obstacles as the other vehicles that were getting stuck. 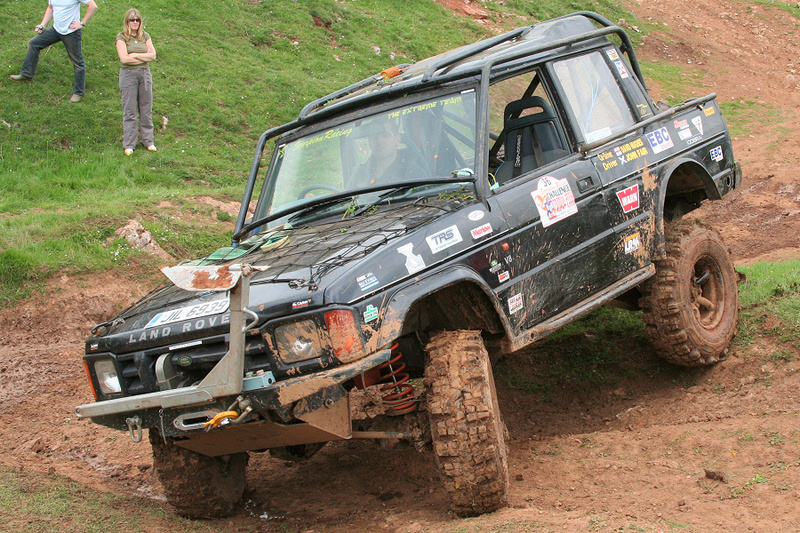 This was partly the skill of the driver, but also because it is a very capable vehicle. The wider track and the big tyres running at 7psi helped! More details and pictures of Chris’s monster Disco can be found at She Loves It (http://www.shelovesit.co.uk/).